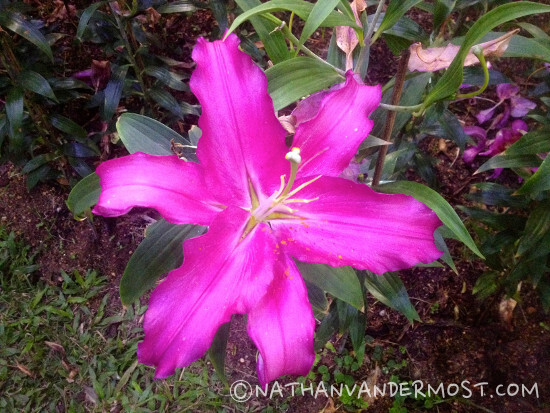 While living in Chiang Mai, Thailand, I have explored the city and surrounding area as much as possible. Although, I also enjoy weekends that involve sleeping, eating and general lounging. Since I am an English teacher, a few weeks back, I was able to take advantage of “private education day.” I work at a private school and therefore had the day off. Private Education day ended up being a Friday which was great because it made it a three day weekend! woohoo! We left on Friday morning by taking Green Bus, a local bus company to Chiang Rai. We drove via my motorbike to the bus station, a short 15 minute ride from our residence to the bus station. There is a secure motorbike parking lot across the street on the southwestern corner. You can park your bike there for 10 Baht per day, roughly $0.33 USD. The parking lot operators will hand you a card that you will present to them when you return. The bus ride is fairly pleasant and the road is not too crazy. Green Bus is a great bus company that is very reputable and I have used them several times. There are a variety of restaurants to choose from if you are hungry including American and European cuisine. We stopped at a restaurant to eat brunch and to research an accommodation to stay at. I like to use [eafl id=6484 name=”Agoda Home Page ” text=”Agoda”] and I have the agoda app on my phone so searching for local accommodations is very easy. After eating brunch, we set off on foot and stopped at several accommodations but ended up finding Moon House next to the Chiang Rai clock tower. The Moon House was a great find as it was in close proximity to many Chiang Rai attractions such as the Chiang Rai Night Bizarre, Hill Tribe Museum, and restaurants. 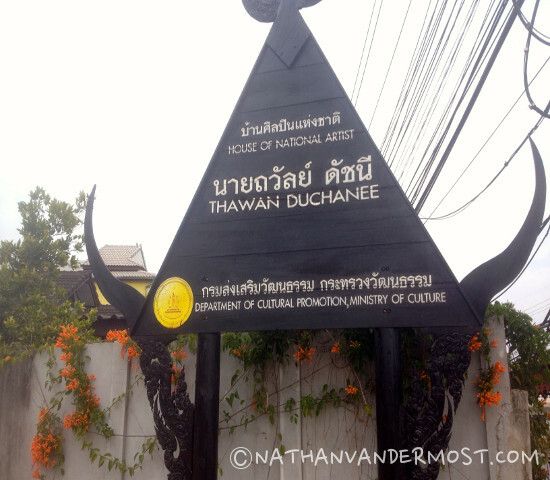 We started by visiting the Hill Tribe museum which was an easy walk from our accommodation. It was pretty easy to find and is at the top of a three story building. The front of the building has a sign for, “Hill Tribe Museum.” Who would have thought? The entrance fee for the museum is 50 Baht or $1.66 USD. 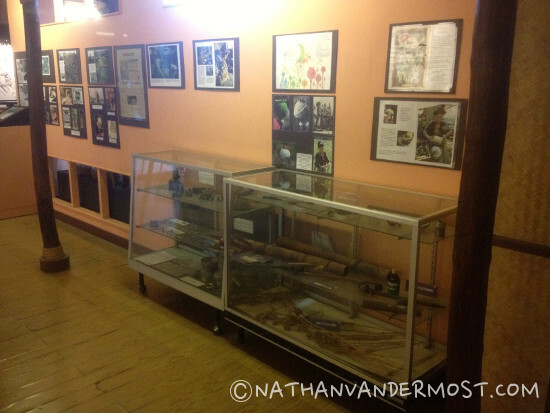 The museum was pretty standard, featuring news articles, traditional hill tribe tools, and other exhibits. It was very interesting learning about the Hill tribe people and their history with growing illegal drugs mainly poppy during the communist era. Fortunately, shortly after that, the government intervened and mandated that they grow new crops. This has helped transition many agricultural communities. The flower festival is an annual event that occurs in different communities all over Thailand and usually lasts for a month. It coincidentally, was going on while we were in Chiang Rail. Awesome! The Flower Festival grounds were literally across the street from the Hill Tribe Museum. The festival grounds have different species of flowers ranging with different colors and smells. 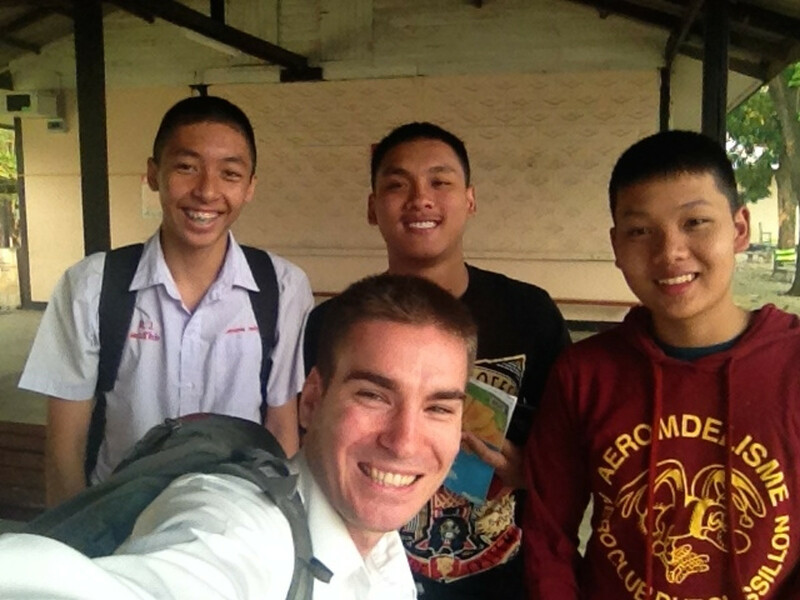 It was a typical Thai experience with Thai families walking around and posing for photos (selfies). I enjoyed smelling the different flowers and admired the hard work that went into setting up array of flower beds. 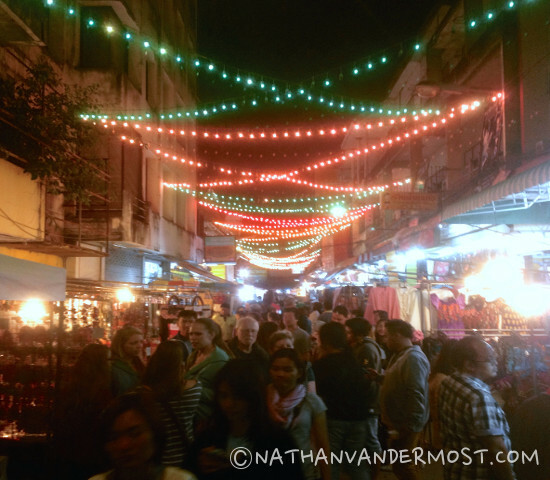 I was pleasantly surprised to find that Chiang Rai has a night bizarre also known as night market. It is located close to the bus station. There is an arched sign at the entrance and anyone you ask will be able to point you in the right direction. 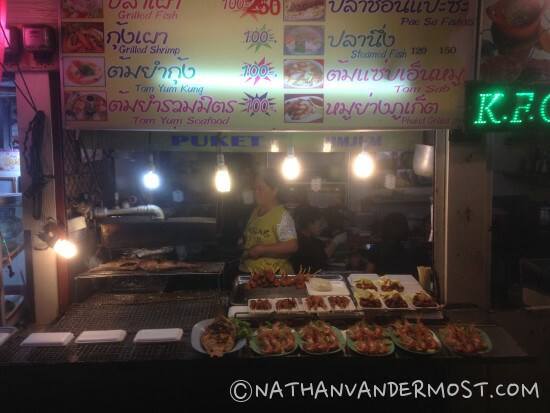 The night bizarre is similar to most night markets in Thailand. You will find many of the same handmade trinkets and gifts. There are many vendors to choose from that have an assortment of crafts. If you enjoy eating food at the market, then this is the place to be as there is a centralized food market often with live music and/or performances. We visited the Night Bizarre twice as we missed a few things on the first trip plus we found delicious coconut ice cream that we had to come back for! 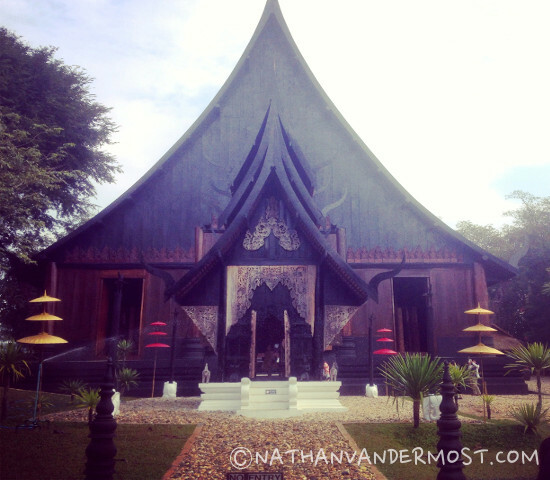 Prior to coming to Chiang Rai, I had heard about the Black House from other travelers and on various travel forums. The name does not make it sound that intriguing but the visit was well worth it… if you can find it. When I initially looked it up on Trip Advisor, there was no map… I searched for a map everywhere that I could think of! There are many tour operators that do day trips to the Black House but if you are like me and drove there by yourself then the above map is helpful. The directions are relatively simple as you need to drive north on highway 1 and make a left on a street marked with a small version of the Black House. Drive down the road and follow the signs that are clearly marked. There is plenty of parking and entree is free! There were many other tourists when we arrived. The property that features the “Black House” was owned by a wealthy Thai and is now available to the public. The property features several structures with a collection of animal skins, bull horns, and conch shells. 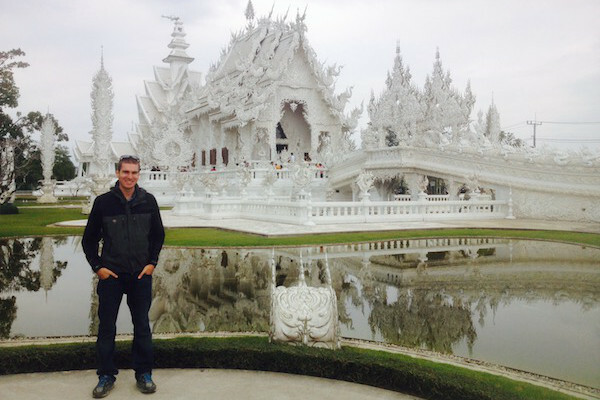 It was an impressive site but arguably equal to or better than visiting the White Temple. 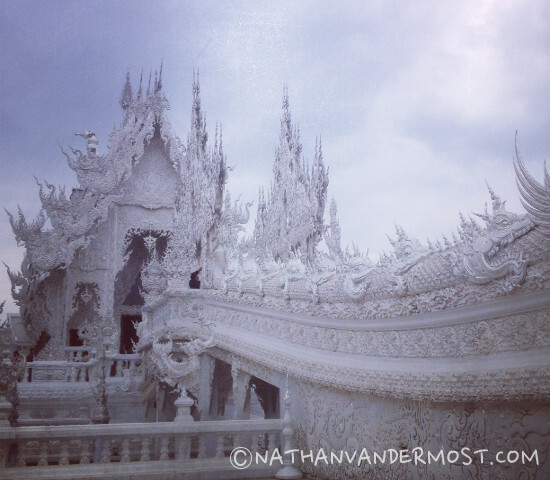 The White Temple is a very popular destination for tourists and local Thais to visit. There are many tour groups that go to the temple or you can go alone as we did via our rented motorbike. The White Temple is much easier to find comparatively to the Black House. 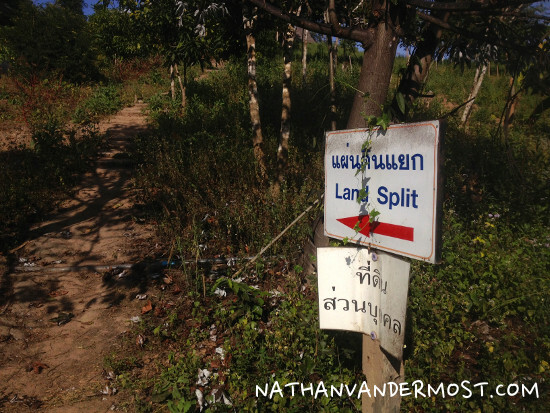 It is on the right side of the road when driving south on the highway, roughly 30k south of Chiang Rai proper. The White Temple had many visitors when we were there and there are a variety of shops in the surrounding area that sell gifts and food. The White Temple is very impressive, especially when you consider that it was built by one person over the span of many years. The temple features elaborate and detailed artwork. Underneath the temple walkway is a large pool with very large fish. There are several detailed features of dragons and Buddha. Overall, a great experience and worth the visit! These were all of the sites that we visited while in Chiang Rai over the span of 1.5 days. The days were pretty busy but we only had a short weekend to pack everything in. 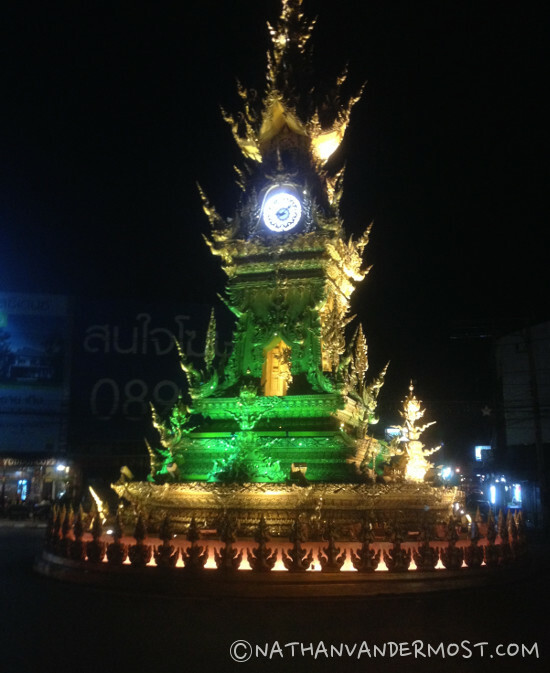 I would suggest 3 full days to get a good feel of Chiang Rai. 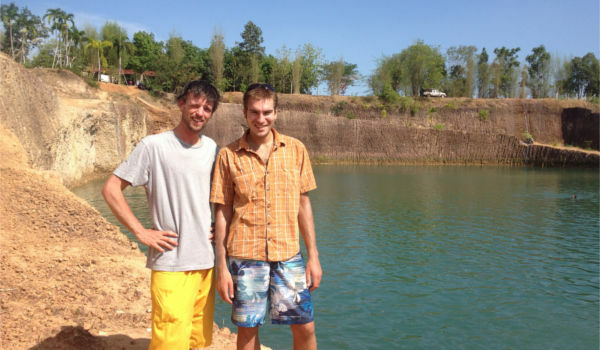 There are other activities that you can do such as visiting local waterfalls and visiting local Hill Tribe villages.